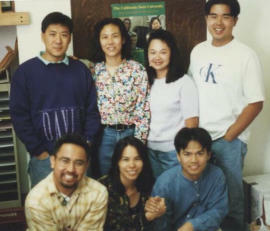 Excerpt from JCYC Up Close Winter 2019 In 1979, JCYC’s College Access Department was established with a single TRIO Talent Search grant. 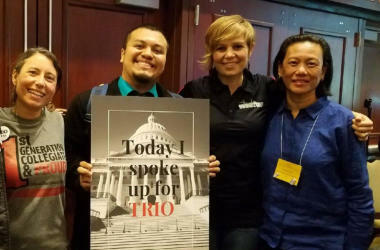 TRIO grants were created by the US Government under the Economic Opportunity Act of 1964, and the Higher Education Act of 1965, in response to the Civil Rights Movement, War on Poverty, and a national need to foster increased educational opportunity and attainment. Today, over 3,100 programs provide academic and post-secondary counseling to 800,000 low-income and first-generation students nationwide. As of 2019, Congress has appropriated $1.06 billion to TRIO programs nationwide. Forty years ago, JCYC’s first TRIO grant created the Asian American Communities for Education (AACE) program, which has now blossomed into the JCYC College Access Department. The department is now funded for three Talent Search grants, two Upward Bound grants, and one Cal-Student Opportunity and Access and Program grant. 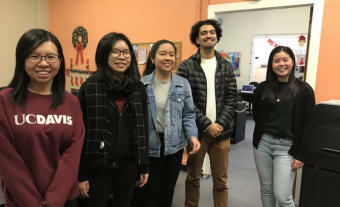 JCYC’s College Access Department offers free educational advising to over 3,000 students at 13 school sites in San Francisco and Daly City. Services include academic tutoring, study skills, high school selection counseling, and career counseling at the middle school level, and college entrance exam prep, college admission application assistance, and financial aid assistance at the high school level. With JCYC’s College Access Programs turning 40 this year, we look forward to having an impact on the educational opportunities for youth for another four decades. Our Director of College Access Programs, Emalyn Lapus, believes the key is continuing the organization’s commitment to making college accessible for the many who do not believe a post-secondary degree is possible. She explains, “we are here for the long haul, so long as we continue our strong relationship with the school district, provide quality and new initiatives, and continue our advocacy efforts in the ever-changing political landscape”. For more information about JCYC’s College Access Programs, contact Emalyn at elapus@jcyc.org, or check out our website here http://www.jcyccollegeaccess.org/. To download a complete version of JCYC Up Close Winter 2019, click here. 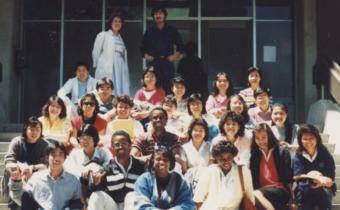 Excerpt from JCYC Up Close Winter 2019 In 1979, JCYC’s College Access Department was established with a single TRIO Talent Search grant. 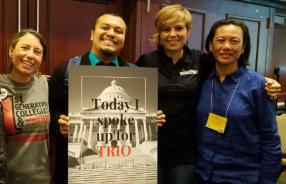 TRIO grants were created by the US Government under the Economic Opportunity Act of 1964, and the Higher Education Act of 1965, in response to the Civil Rights Movement, War on Poverty, and a national need to foster increased educational opportunity and attainment. Today, over 3,100 programs provide academic and post-secondary counseling to 800,000 low-income and first- generation students nationwide. As of 2019, Congress has appropriated $1.06 billion to TRIO programs nationwide. 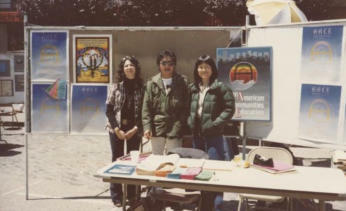 Forty years ago, JCYC’s first TRIO grant created the Asian American Communities for Education (AACE) program, which has now blossomed into the JCYC College Access Department. The department is now funded for three Talent Search grants, two Upward Bound grants, and one Cal-Student Opportunity and Access and Program grant. JCYC’s College Access Department offers free educational advising to over 3,000 students at 13 school sites in San Francisco and Daly City. Services include academic tutoring, study skills, high school selection counseling, and career counseling at the middle school level, and college entrance exam prep, college admission application assistance, and financial aid assistance at the high school level. With JCYC’s College Access Programs turning 40 this year, we look forward to having an impact on the educational opportunities for youth for another four decades. Our Director of College Access Programs, Emalyn Lapus, believes the key is continuing the organization’s commitment to making college accessible for the many who do not believe a post-secondary degree is possible. She explains, “we are here for the long haul, so long as we continue our strong relationship with the school district, provide quality and new initiatives, and continue our advocacy efforts in the ever-changing political landscape”. For more information about JCYC’s College Access Programs, contact Emalyn at elapus@jcyc.org, or check out our website here http://www.jcyccollegeaccess.org/. To download a complete version of JCYC Up Close Winter 2019, click here.